Meda Inc Bhd’s new shareholder and executive director, Datuk Seth Yap Ting Hau, is looking to revitalise the struggling company by developing a tourism city in Kuala Linggi, Melaka. 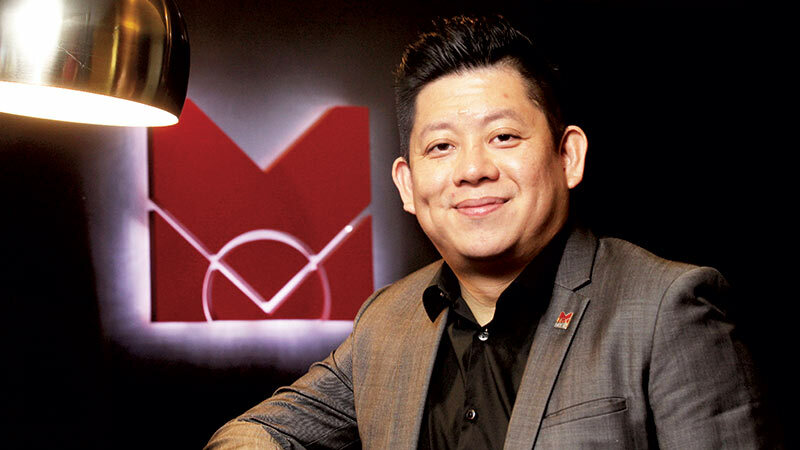 Yap, a lawyer by profession as well as founder and CEO of M101 Holdings Sdn Bhd, has a 25.5% stake in Meda. The acquisition, via several transactions this year, saw him and M101 Ventures Sdn Bhd — a unit of M101 Group — end up with 9.43% and 16.06% equity interest respectively. “Over the past years, M101 has been focusing on property tourism and our vision is to develop property tourism-related products. As there has always been a plan [to do it on a bigger scale], we have been searching for a huge tract for tourism venues,” says Yap. Then, he came upon Meda’s 600-acre tract in Melaka early this year. 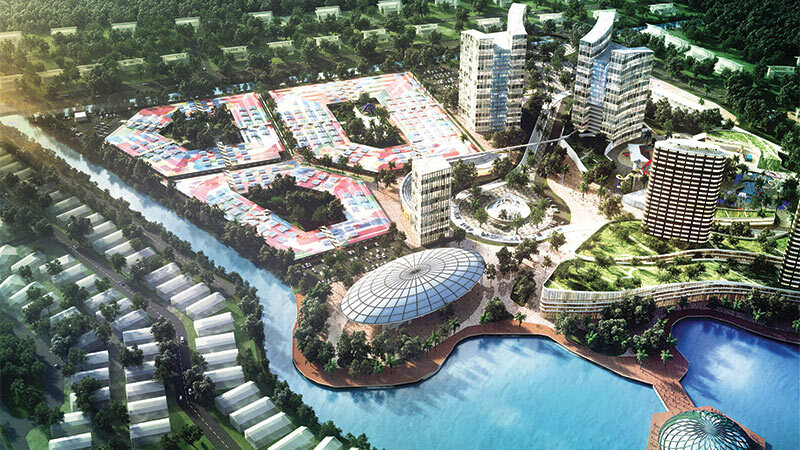 Named Malaysia Tourism City (MTC), the project will be developed in three phases. Phase 1 comprises the first phase of a water theme park, a weekend market, a thematic adventure park, the first phase of the Estate vacation bungalows, Phase 1 of an eco-tourism park, a hotel and edu-tourism facilities. moto-tourism park, a shopping mall and entertainment centre, a convention centre, the second and third phase of the Estate, an aesthetic healthcare centre, Phase 2 of the eco-tourism park, hotels, the second phase of the water theme park, a martial arts village, a medical centre, and an aquarium. Meda will kick-start Phase 1 of MTC once it finalises a partnership with a tertiary educational institution by the first quarter of next year. The collaborative effort is aimed at creating an edu-tourism pillar at the development. The weekend market, which will double as an event space, will be able to accommodate up to 10,000 booths. It is hoped that this will spur the economy in the area. The developer plans to have 3,500 booths available for lease at first, and around 500 have already been booked. Each booth will be rented out for RM1,200 a month and the market will operate for three days a week, from Friday to Sunday. Yap believes the market can be held by the company as recurring income. It is slated to be operational by 2020. A highlight at MTC will be a 40-acre water theme park, which will be developed in two phases. Yap is currently in exploratory discussions with some major international brands for the design. create a first-of-its-kind Monopoly Mansion at M101 Bukit Bintang. He also teamed up with Studio FA Porsche to design suites at M101 SkyWheel. Both are ongoing projects under his M101 portfolio. Over at MTC, its shopping mall and entertainment centre will have a gross floor area of 500,000 sq ft, while its thematic hotels will have 2,800 to 3,500 rooms in total. Meanwhile, its vacation bungalows, called the Estate, will offer 114 bungalows in Phase 1. With built-ups of 6,000 to 8,000 sq ft, each unit will come with a swimming pool, open kitchen and dining, barbecue, karaoke and game rooms. Yap plans to work with brands that hold intellectual property rights at the many components at MTC, including the themed hotels he plans to sell en bloc. “This is how we will bring in foreign investment to finance the other components,” he says. hydroponic and organic farms, a farm-to-plate restaurant, a bamboo garden and a petting zoo. The farms are targeted to commence operations by 2020. “We are finalising all the contracts and getting ready to put our plans into action,” says Yap. The concepts have been on the drawing board for many years now. Partners in the project will be announced in due course, he adds. While the company is reimagining a new future for Kuala Linggi, the area is at present a sleepy town. Rahim & Co branch manager (Melaka) Fiqri Rohaizad says the small town’s economic activity is mainly agriculture and fishing. It is located 50km from Melaka town, 75km from the Ayer Keroh toll, 20km from Teluk Kemang, Port Dickson, and 50km from the Port Dickson toll. The area comprises mostly kampung houses with several small-scale chalets in between, notes Fiqri. Agriculture or development parcels with open titles and of about one to two acres in size have been transacted at RM3 to RM4 psf while those with MCL titles and of one to two acres cost under RM2 psf. Fiqri says land that faces Jalan Pasir Panjang has reported higher transaction prices of more than RM10 psf. He adds that there is still a lot of MCL land available in the area. Meanwhile, Yap plans to sustain Meda’s operations and finance for the long term by managing its existing projects and issues as well as maximising the potential of its existing assets and land bank, starting with the Kuala Linggi land. In October, the new shareholder began resolving the outstanding rent charges due to owners of The Arc in Cyberjaya. Meda has paid RM771,372.78 of the total outstanding rent of RM6.79 million. While there has been speculation that Yap would inject his private business into the listed vehicle, he says there are currently no plans to do so but that the option remains open. He adds that there is also no plan to dispose of Meda’s assets. “Our aim is for MTC to generate positive cash flow and improve the current earnings of Meda. We want to gain [people’s] confidence and rebuild the company, and we are optimistic we can turn the company profitable soon,” says Yap.